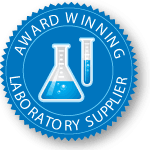 Coliscan media incorporate a patented combination of color-producing chemicals and nutrients that mark coliforms and E. coli in differing colors for easy identification and isolation. This means that a test sample of water or other material may be added to the medium, and col­iform bacteria will grow as pink-magenta colonies while E. coli will grow as purple-blue colonies. Other bacterial types will generally grow as non-colored colonies. There are two approaches to the Coliscan method: Coliscan Easygel and Coliscan-MF. Coliscan Easygel is ideal when a sample size of 1-5 mL is appropriate, such as samples where there is generally a sizable population of coliforms and/or E. coli. 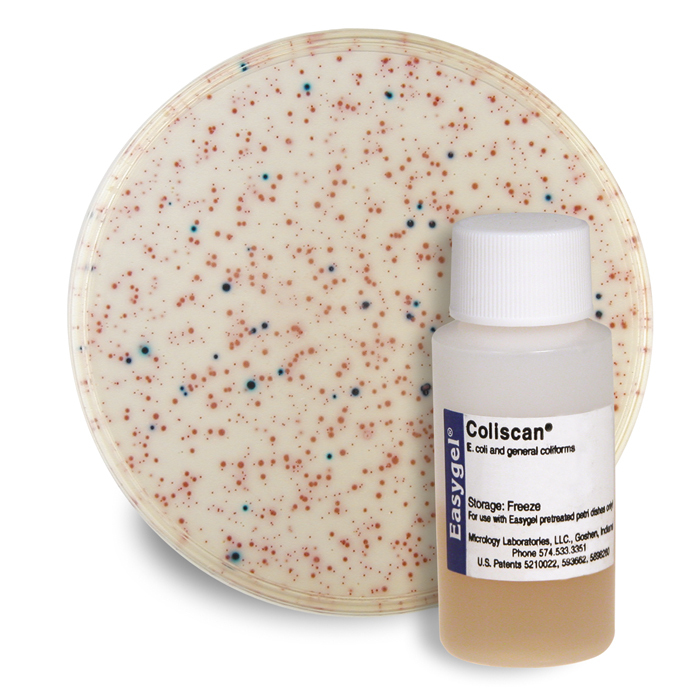 The sample can be added directly into the bottle of Coliscan Easygel, swirled, poured into a pretreated petri dish and incubated. Incubation temperature is not critical, and under warm conditions (32 - 37°C) the results can be read in 24-28 hours. Coliscan-MF is for use with membrane filters, and it allows the use of much larger test samples of any filterable liquid. This method is commonly used with samples that contain a low level of coliforms or E. coli. With this approach, the sample is filtered through a membrane filter. After the bacteria are collected on the surface of the filter, it is placed on a pad saturated with Coliscan-MF liquid medium in a petri dish. The colonies grow on the surface of the filter and are then counted. Storage: Freeze. Medium shelf life: 1 year. Dish storage: Room temperature. Dish shelf life: 1 year. Sign in to Buy 38 item(s) available to ship. 38 item(s) available to ship.